An update to this article has been released and can be found HERE. MICHIGAN CITY, Ind. 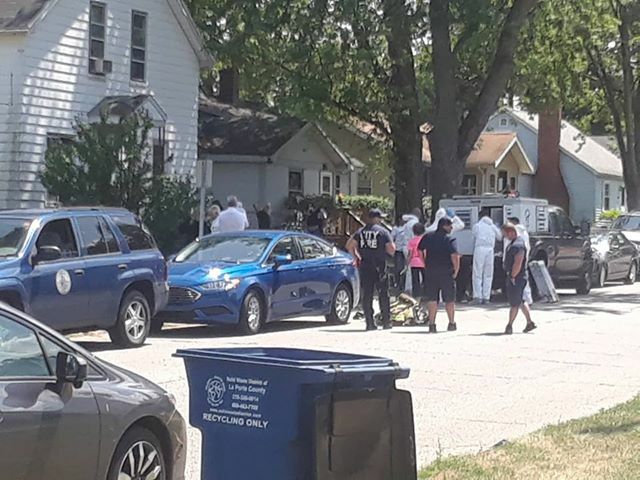 — Michigan City Police have blocked off a portion of South Woodland Avenue as they remove dogs from a residence due to the home’s condition. According to Sgt. Chris Yagelski, officers began removing the animals from the home Monday afternoon stating that the home was “infested”. Animal control and officers showed up to the home wearing hazmat suits and began escorting the animals out to be taken to animal shelters and given proper care. One Facebook user stated that the dogs had been “going off” for days making their dog “go nuts”. Detectives are still investigating and no other information has been released at this time. Michiana Humane Society is looking for foster homes for these dogs right now. Please contact them directly. Also help spread the word.